To prove that you don't have to break the bank to get a decent set of ski gear, I decided to purchase the OutdoorMaster Ski Goggles. They were affordable and seemed to be one of the top selling brands online at the time. These goggles come in a bunch of different lens colors for varying conditions, but I decided to go with orange. The orange has 24% VLT (visible light transmission), which is good for days with middle of the road lighting (not too sunny, not too cloudy). 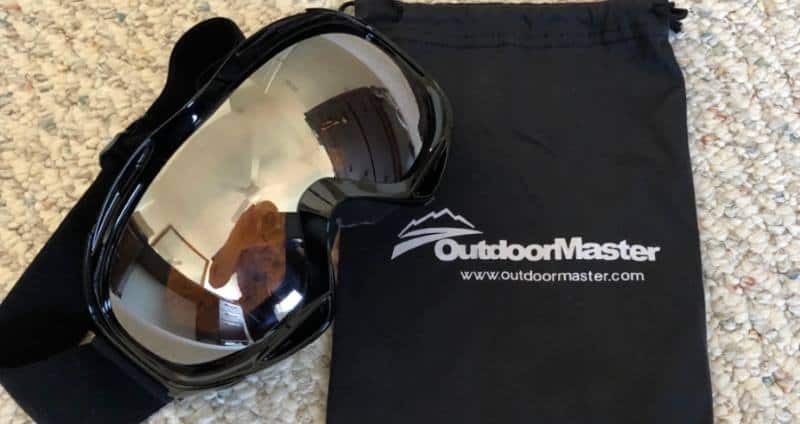 In short, I feel that these OutdoorMaster Goggles would make great goggles for beginners and a solid backup pair for regular skiers/snowboarders. Click to see them on Amazon, or keep reading for the full review and FAQ. My first concern with getting these goggles were whether or not they were going to fog up. Like many other people, fogging has always been the bane of my skiing existence. It seemed like no matter which pair of goggles I had, I always experienced fogging one way or another. I was happy to report the OutdoorMasters gave me very few fogging issues. There were times when the goggles got fogged while on the lifts or not moving around very much. However, once I started going down the hill, the ventilation system was able to make quick work of any fog that had accumulated. Like turning on a defroster in a car, it truly seemed like the faster I went, the less these goggles fogged up. It is important to note that I did make a few modifications to my gear, including getting a vented balaclava, the Ergodyne N-Ferno. This could have also been an important factor for preventing fog. I did walk away from the ski trip with a minor scratch on the goggles. However, I'm willing to take the blame on it and say that it was my fault. We were trying to leave our room in a hurry, so I neglected to put the goggles back in their carrying pouch or any sort of case. It's possible that any goggles would have scratched under these conditions, so I don't think it's fair to immediately fault the OutdoorMasters here. The good news is that I can barely see the scratch when wearing them. I've had badly scratched goggles in the past where it was totally distracting, so I needed to replace them ASAP. Despite the small scratch (which was my fault), I still think I'll be wearing these goggles many more times. If you decide to get them, I highly suggest using the carrying pouch that they come with. Leaving them in your bag with your boots, poles, and other hard items are a recipe for disaster. The goggles have -- what I believe to be -- a triple foam layer of padding. They're highly adjustable, and I have zero complaints about comfort. 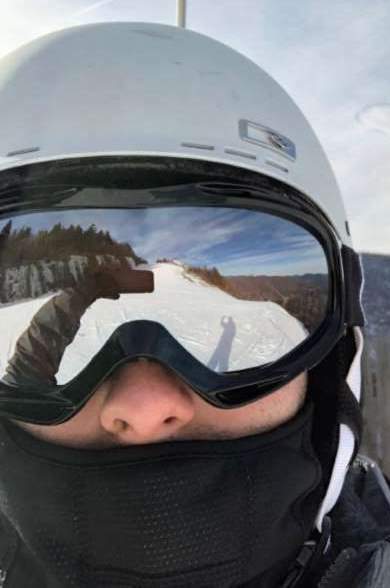 I never felt the urge to take the goggles off at any point while skiing for hours straight. These goggles aren't full spherical goggles, so there is a bit of visibility blockage. In other words, I was still able to see the rim of the goggles when I had them on. This wasn't that much of an impediment and didn't cause any issues for me. My peripheral vision was only cut off slightly (maybe about 3%) by the rim of the goggles. It's also important to note that I have a really big head, so other users may not even experience this at all. Is it Possible to Change the Lenses? The basic OutdoorMasters don't offer the ability to easily change the lenses. Everything is in there pretty securely, so even if you wanted to "hack" it, I don't think you'd be able to. What's the Difference Between the OutdoorMaster PRO and Standard OTG Goggles? There are three major differences between the standard OutdoorMaster OTG Goggles and the PRO version. The PRO has a magnetic interchangeable lens system that allows the user to easily snap on and snap off different lenses for different conditions. The PRO has full spherical lenses with a rimless design for a wider and less-interrupted field of vision. The PRO comes with a hard carrying case and soft pouch, while the Standard OTG goggles only come with a soft pouch. VLT stands for Visible Light Transmission. The company makes these goggles with several different lenses and varying VLT levels. The sunnier the day, the less VLT you want. The less light, the higher VLT you want. Will They Fit Over a Helmet? These goggles will absolutely fit over a helmet (that's how I wore them). The strap is highly adjustable, and I have one of the biggest heads around. That being said, it has to be pretty rare that there's a helmet and head size that these wouldn't fit over. Can You Wear Them Without a Helmet? Because of their adjustable nature, they can also be worn without a helmet. The straps are made well enough that I can get them on my helmet securely without changing the size. The material is great at expanding and contracting. The orange-tinted goggles that I'm reviewing aren't good for being worn at night. However, OutdoorMasters makes lightly tinted or clear goggles that are perfect for low-light conditions. Do They Have a Full 180 Degree View? These goggles do not offer a view in a full 180 degrees. As previously noted, I was still able to see a small portion of the goggle rims. Will These Fit a Young Child? The adjustable straps in the back give the user the ability to make these goggles extremely small. That being said, they would likely be a great fit for most children -- probably as young as 10 or below. The straps are not inter-changeable. It would be impossible to remove the straps without breaking them completely based on how they are stitched on. What is the Foam Material Made Of? The foam is made out of polyester fleece. There isn't any wool, latex, or other allergens as part of the foam. These goggles have multiple sets of vents on the top and on the bottom of the goggles (under the foam). When you're stationary, they don't really do much, but once you get going, these vents provide a lot of airflow. Will They Fit Over Glasses? The goggles are designed to be OTG (Over the Glasses Goggles), but that doesn't mean that they will fit all people and all glasses shapes. As far as I could tell, the company doesn't offer any sort of guide for the maximum glasses size that they fit. I don't currently wear glasses, but I put on a pair of my wife's glasses and tried putting the goggles over them. Either her glasses were too big or my head as too big. That being said, I've seen plenty of user reports where they were able to wear these goggles and glasses. If it's your first time going out to the mountain and you need an inexpensive pair of goggles, I highly suggest picking these up. They do everything they're supposed to do, although they lack some of the bells and whistles of the more expensive goggles, including the OutdoorMaster PRO. If you do decide to get a pair, be sure to check out our fog prevention tips.